After 16 years of military service to his country, Lieutenant Colonel Victor Sexton of the Army Criminal Investigation Division (CID) is looking forward to retiring in seven days, but when an army nurse is murdered in the officer's quarters, time is against him to find the killer. When the evidence leads to Dominique's uncle, Senator Harold Upton, and Victor's former commander, Victor is involved in the most important battle of his military career. 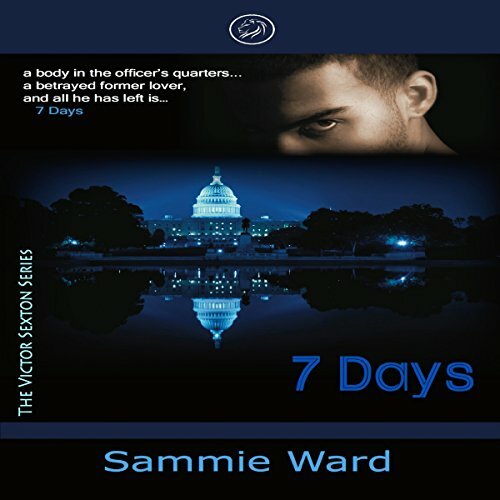 He has to fight to solve the murder and win the love he and Dominique once shared. I liked the book but narrator voice did not fit the character. Domonique sounded so helpless and weak. Even when their voice was raised or angry you couldn't tell. The narrator needs to think about the characters voices. They all sounded the same except the country bumpkins. It was just okay for me. I had to fight to listen to the narrator.